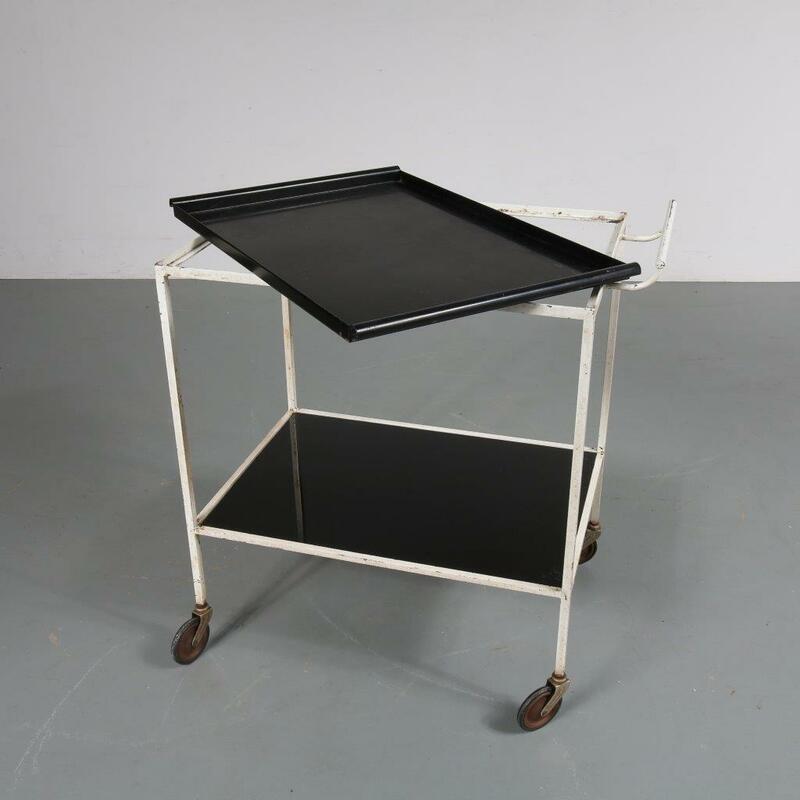 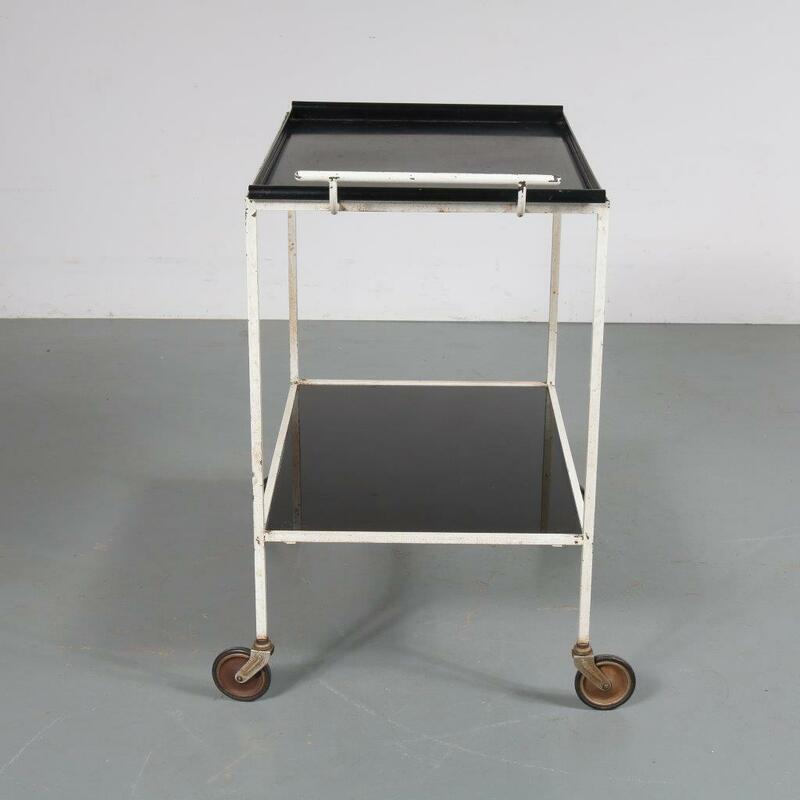 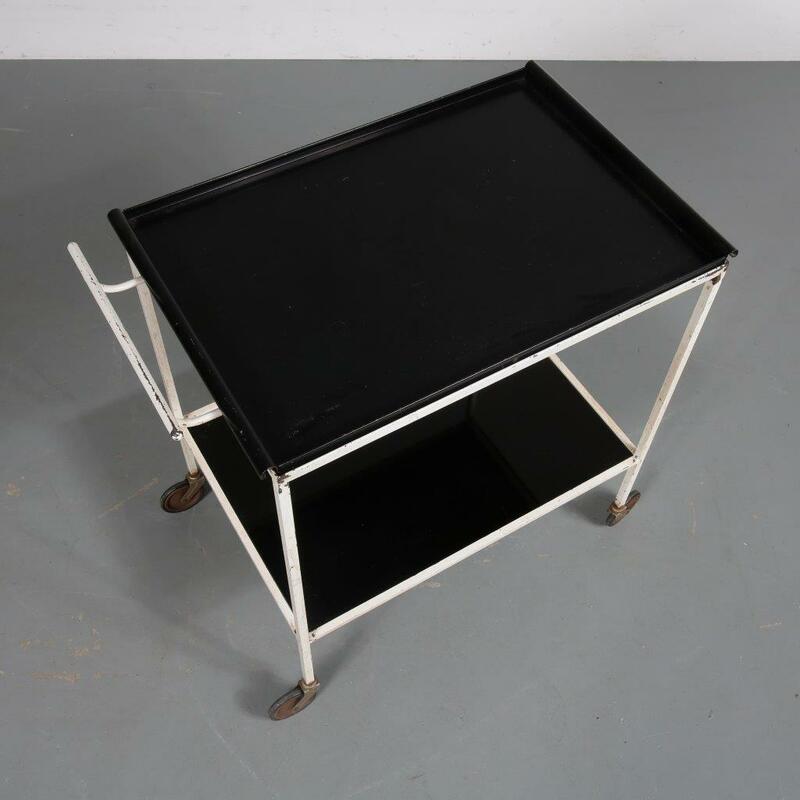 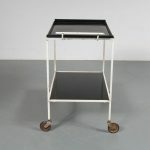 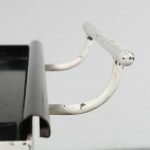 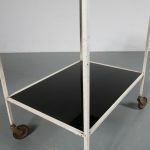 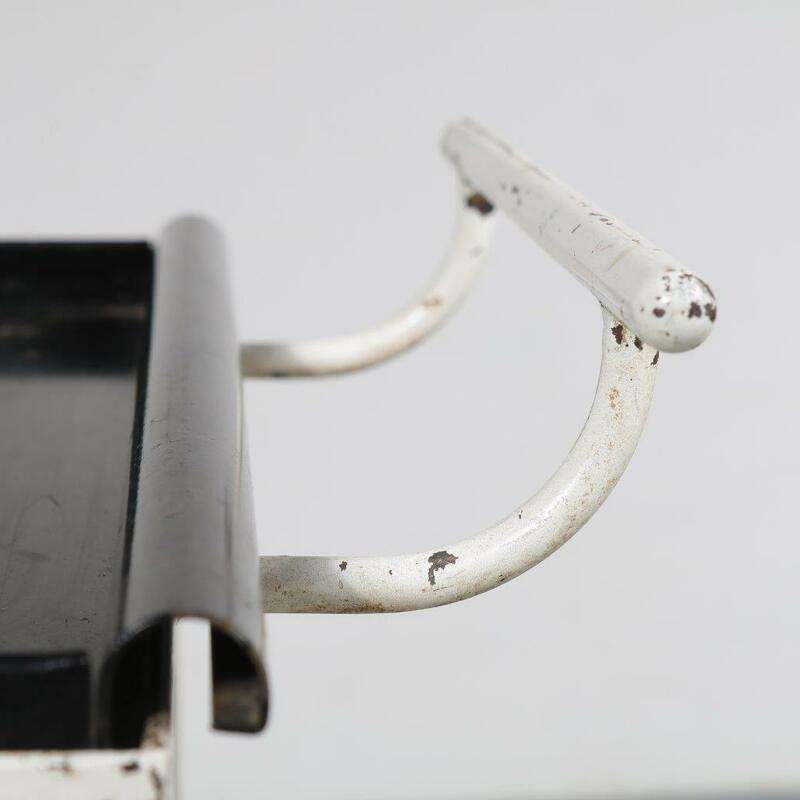 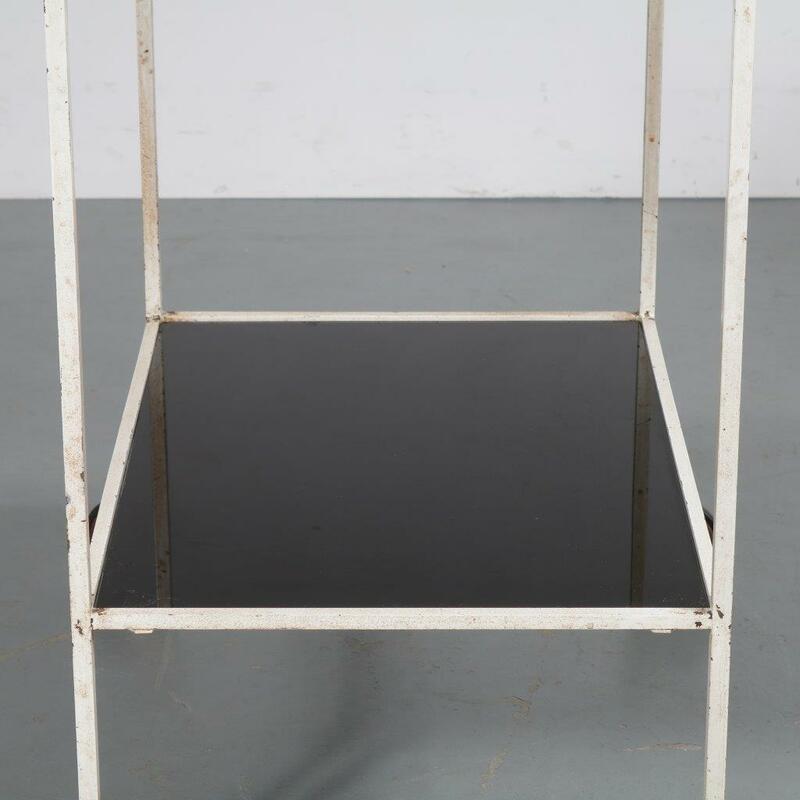 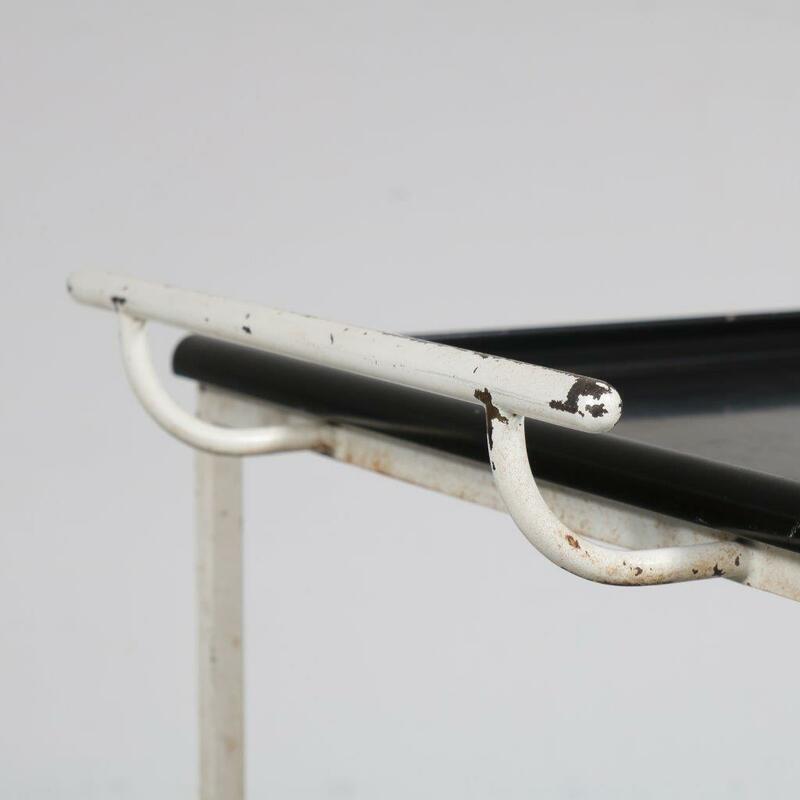 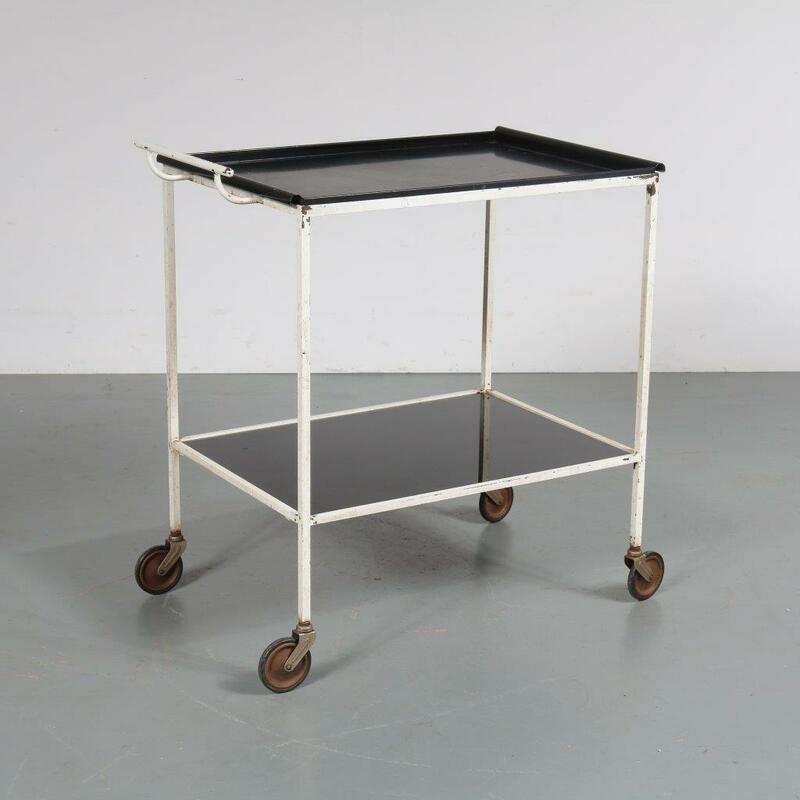 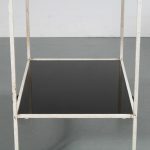 A beautiful metal trolley by French designer Mathieu Matégot, manufactured by Artimeta in the Netherlands in 1957. 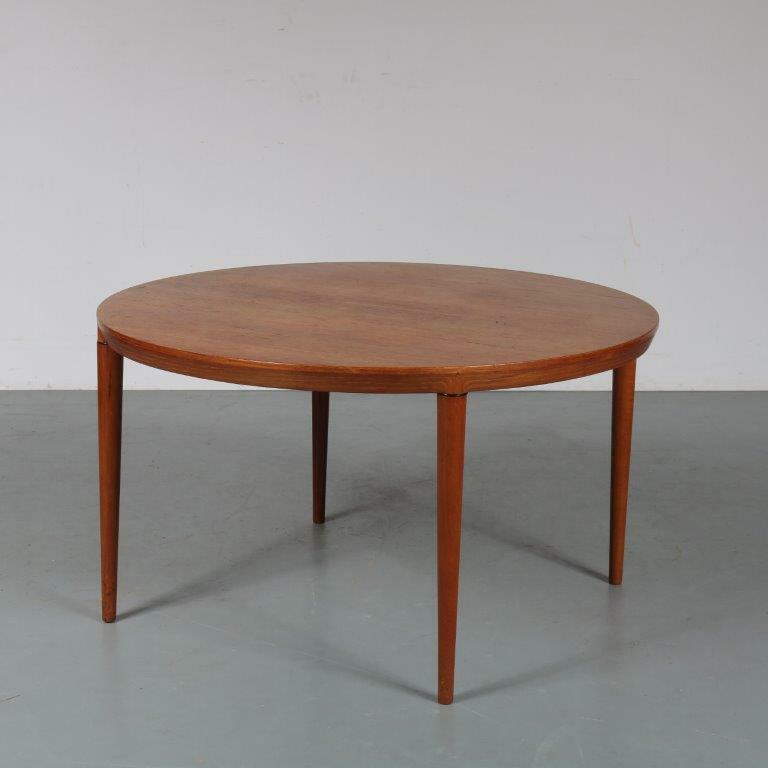 This highly recognizable model is named “Biarritz” after the French coastal area. 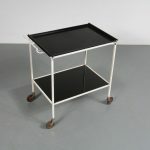 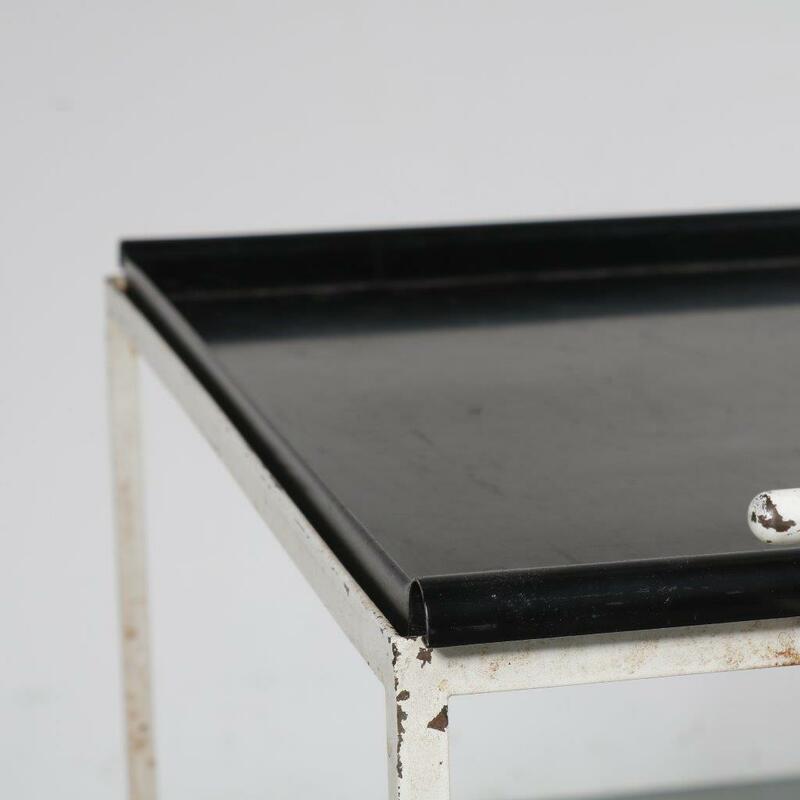 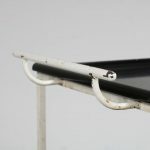 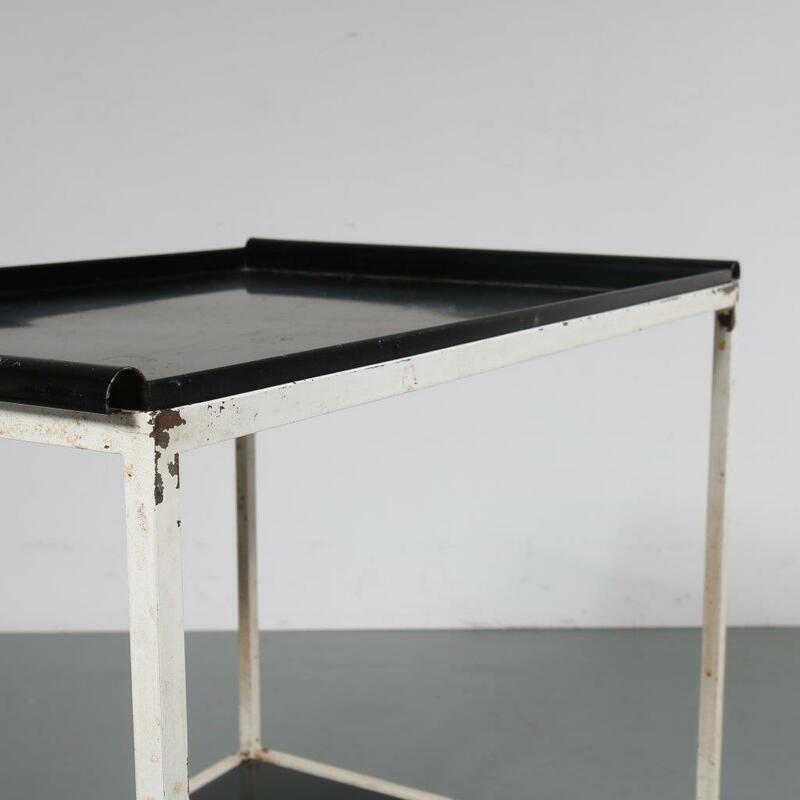 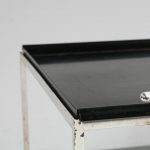 Made of white lacquered metal with a glass lower top and a black lacquered serving tray held on the top. 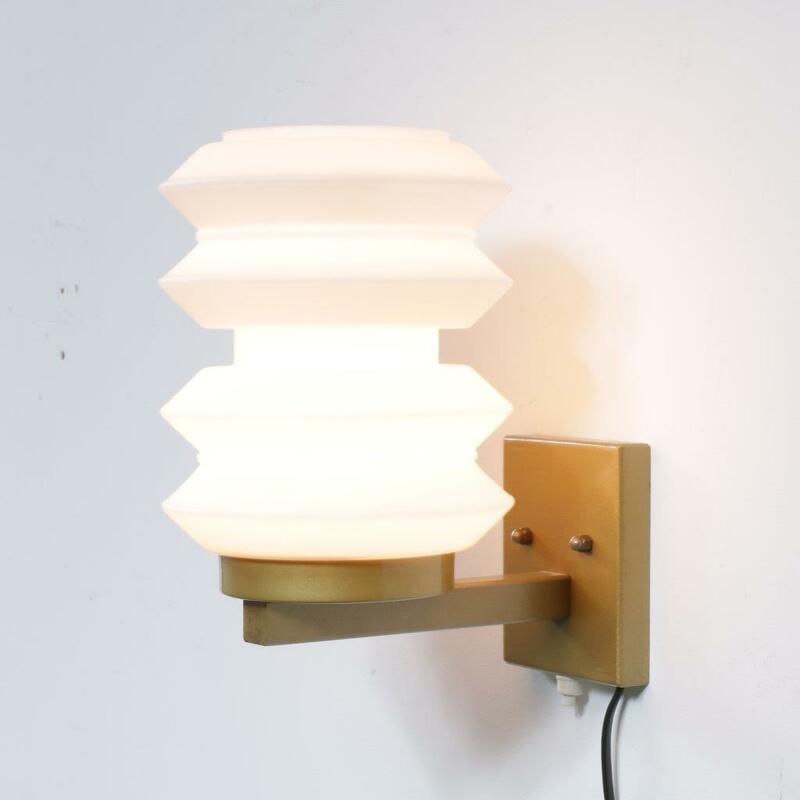 It has a minimalist style, that works really well with the material. 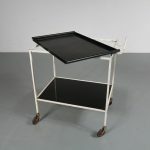 The four grey metal wheels are a perfect compliment to the overall style and provide ease of use as well, so does the handle at the top that matches the serving tray. 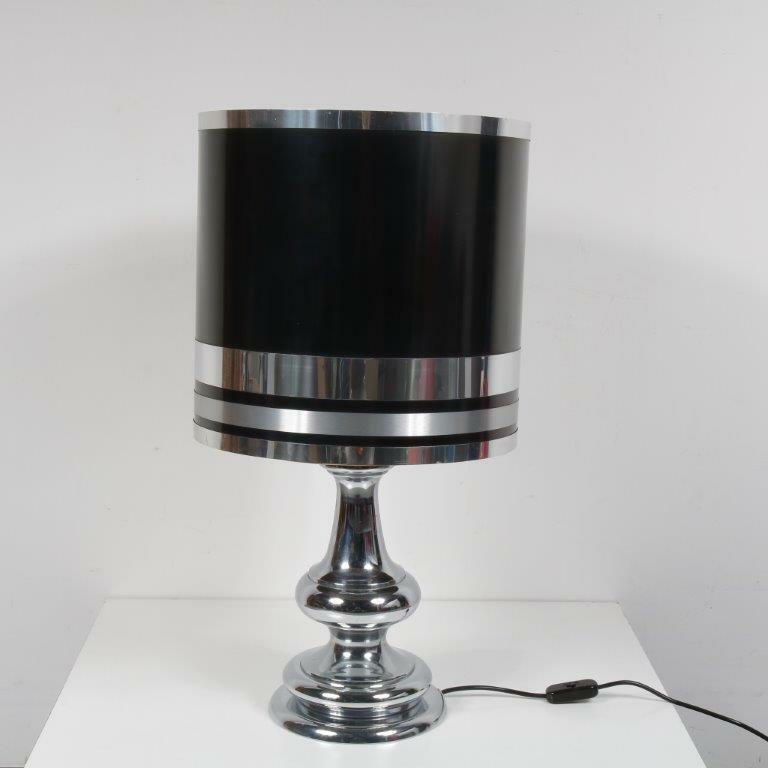 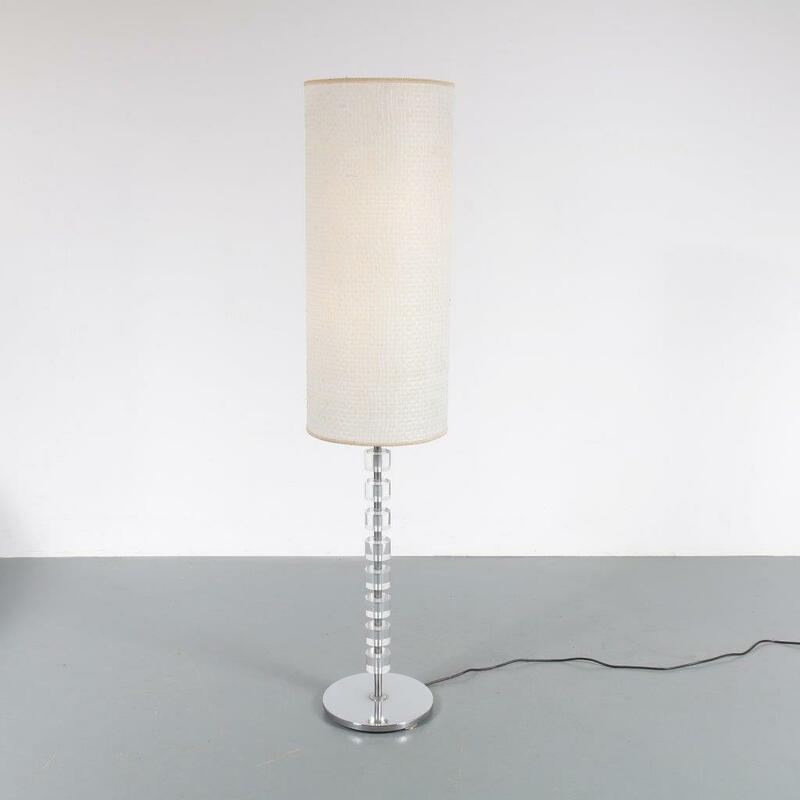 This piece is ready to impress in any decor and for any occassion! 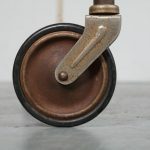 It remains in good, vintage condition with minor wear consistent with age and use, preserving a beautiful patina.